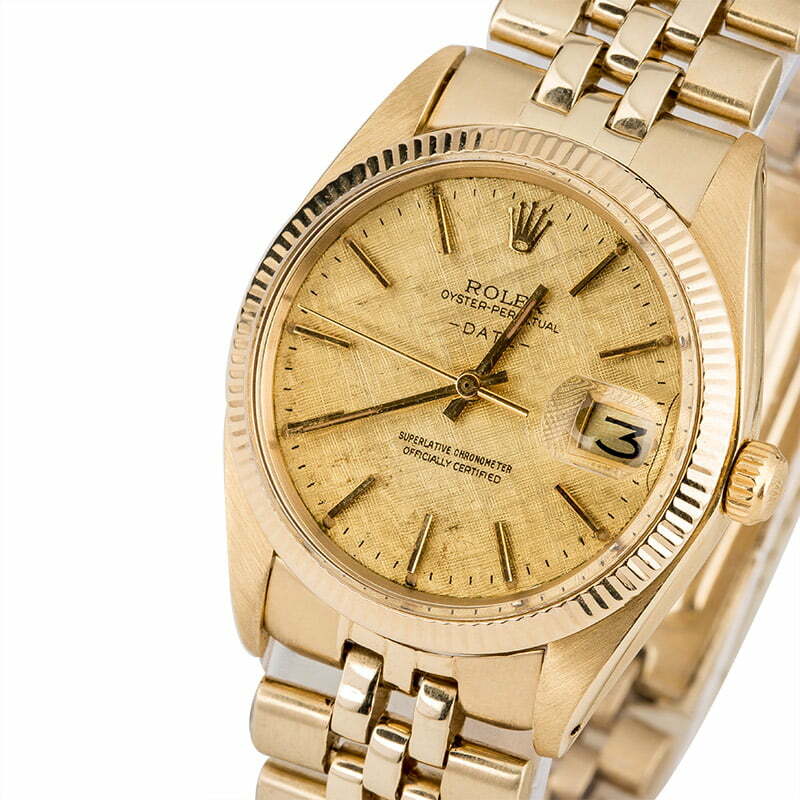 Gold Rolex watches are among the world's most coveted timepieces. 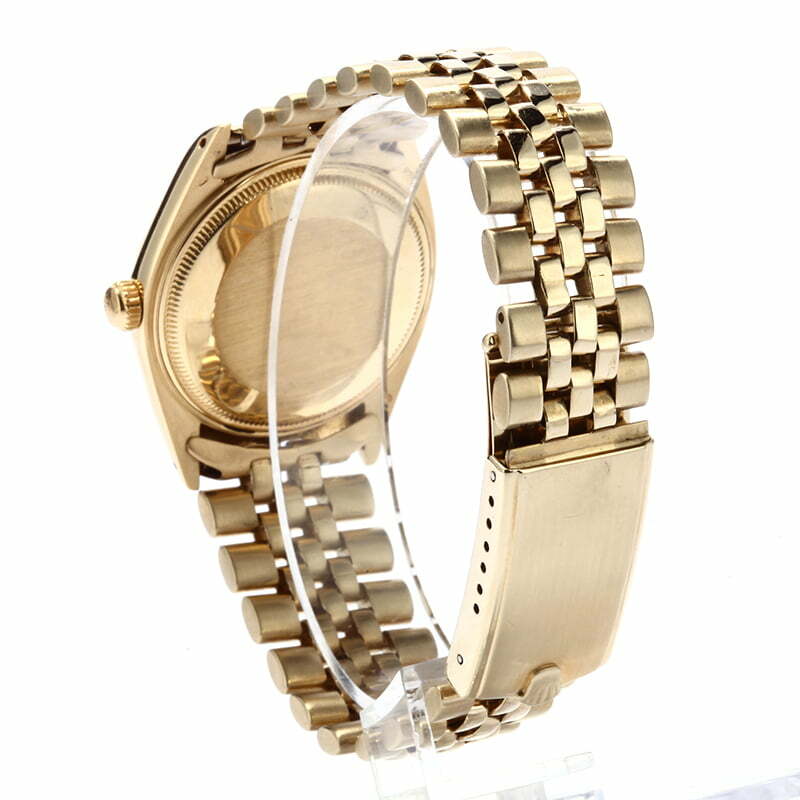 Bold yet sophisticated, they are often the watch of choice among collectors who wish to make a powerful impression or, perhaps, celebrate a milestone such as an anniversary, retirement, or promotion. 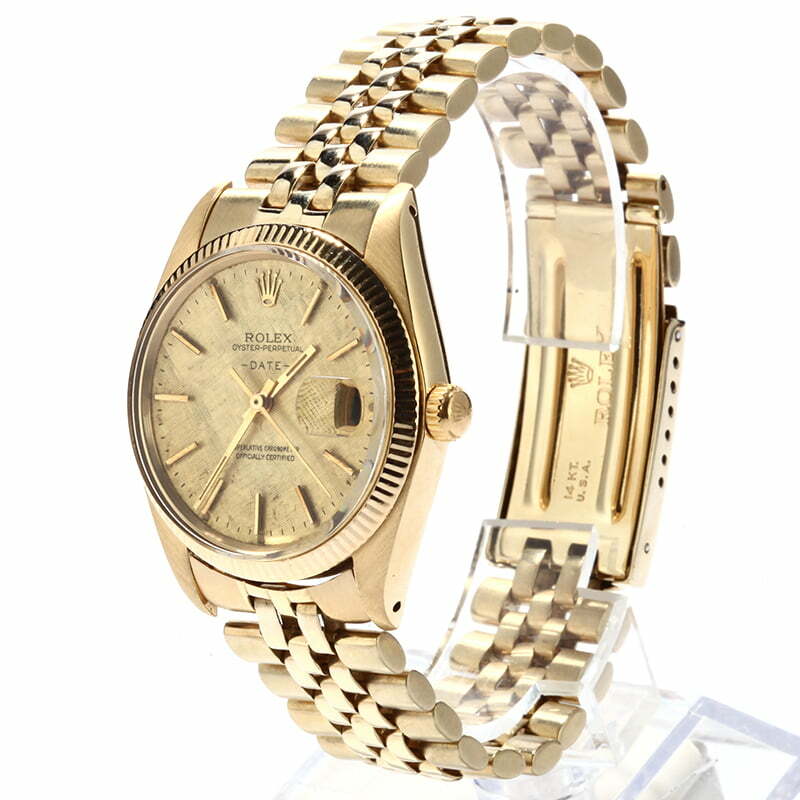 The preowned Rolex 1503 that is presented here today is a vintage Rolex that brings with it immense character and history. 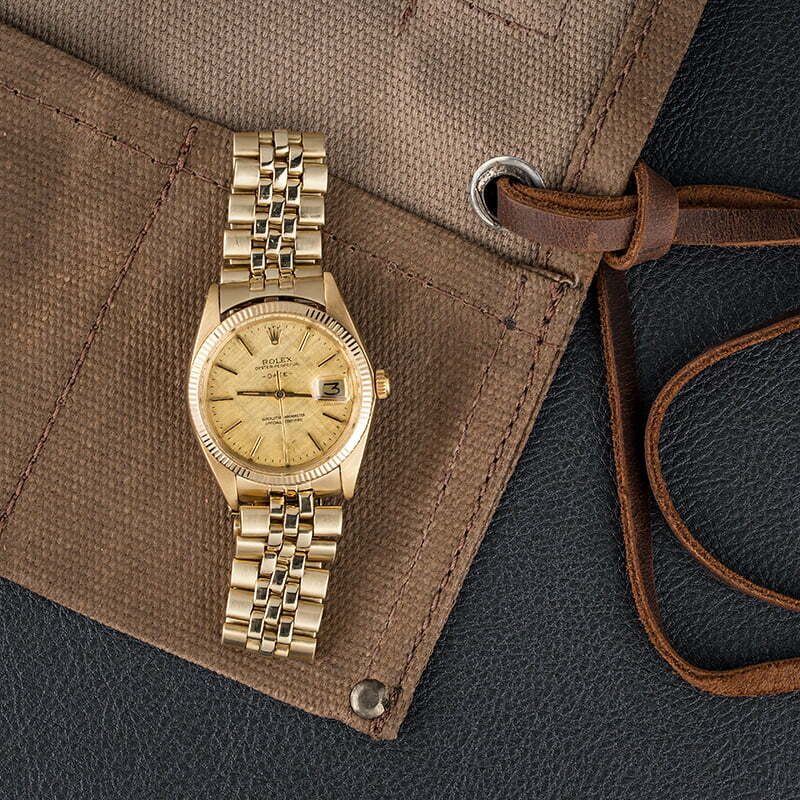 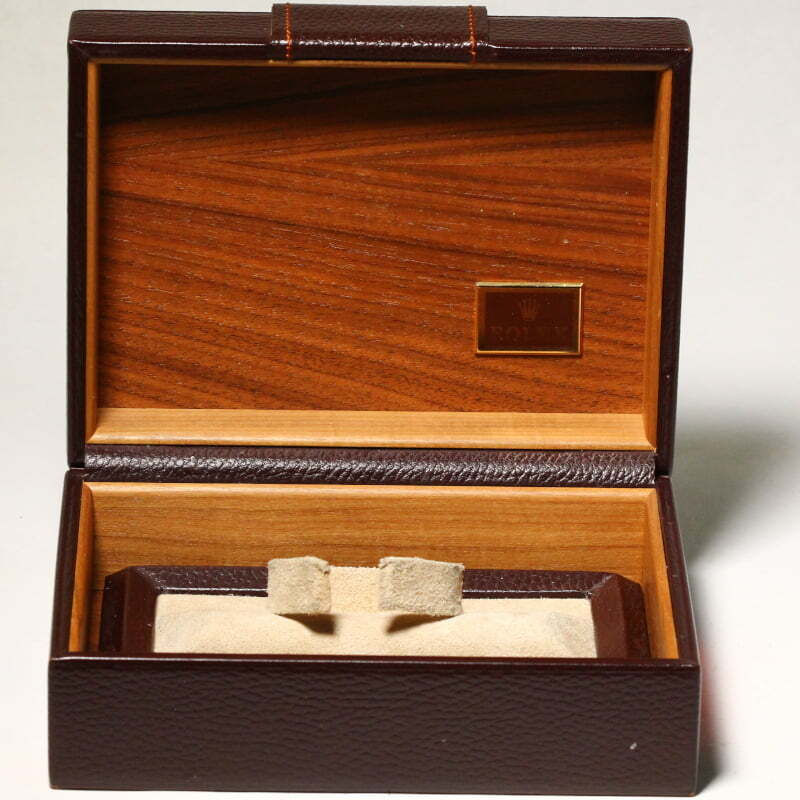 The older-style Oyster case measures 34mm in diameter and features tapered lugs, a thicker acrylic crystal over the dial, and an American oval link Jubilee bracelet secured by a Fliplock clasp. 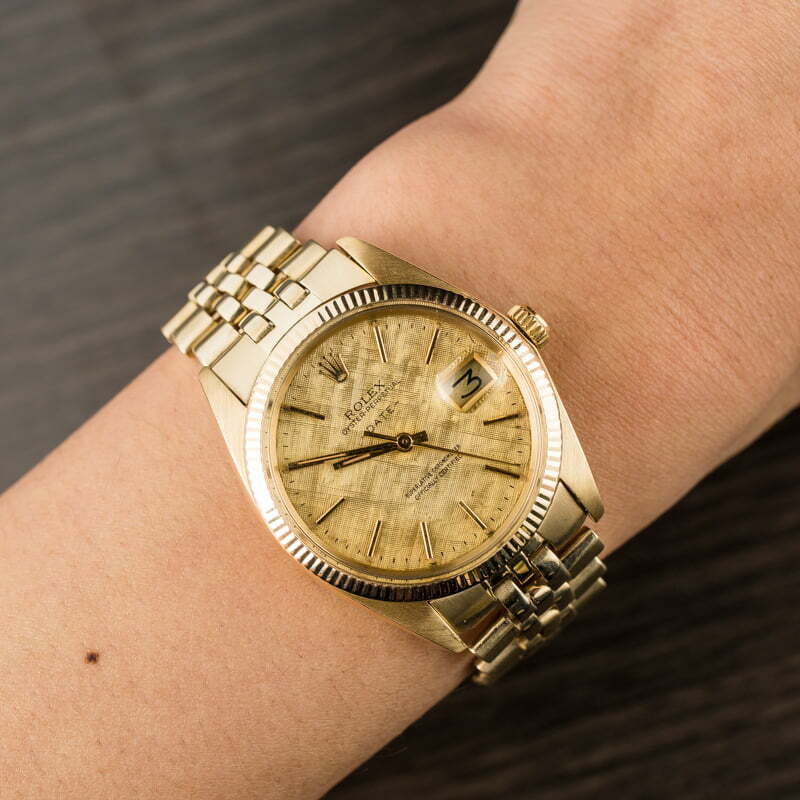 A silver dial tops the case and offers a nice contrast to the all-gold finish as well as elegant index hour makers and hands, a date display at 3 o'clock, and luminous material that has aged to a desirable patina.